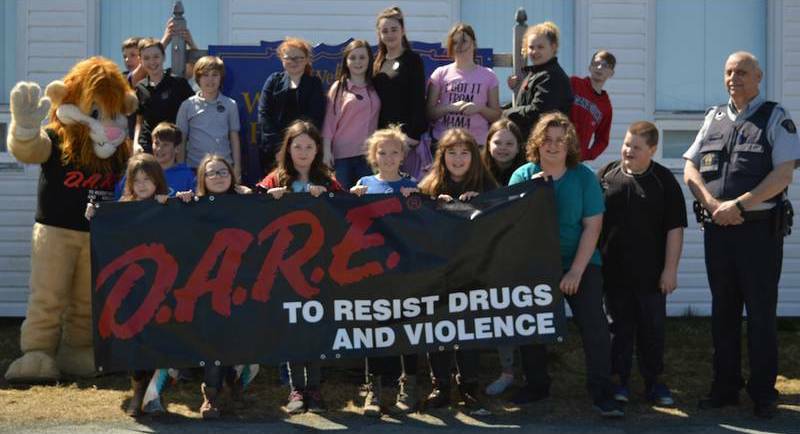 Whitbourne Elementary students hold the D.A.R.E. banner as they graduate from the RCMP-administered program. 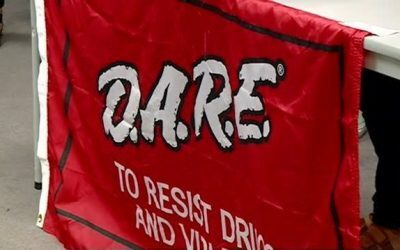 Darren the D.A.R.E. mascot was also in attendance. 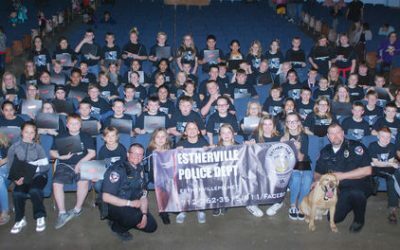 Back row (l-r): Kyle Lewis, Jackson Barrett, Christian Somerton, Jacqueline Smith, Brianna Green, Londyn Rae Somerton, Amelia Byrne, Summer Vokey and Tyler Reid. Front row (l-r): Blair Gosse, Gabriel Woolfrey, Brooke Gosse, Amelia Mercer, Eva Collier, Rachael Thorne, Chloe Dobbin, Kenley Young, Damien Reid, teacher Gwen Corbett and Const. Shawn Lewis. WHITBOURNE, NL — Define Assess Respond Evaluate (D.A.R.E.) is an RCMP program that prepares children to deal with peer pressure and unethical situations.  Const. 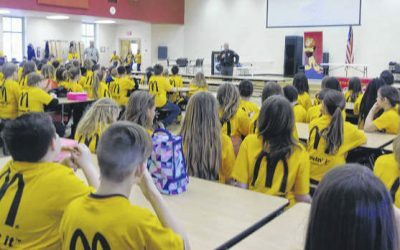 Shawn Lewis, an auxiliary officer with the Whitbourne RCMP detachment, greeted Whitbourne Elementary students Monday, April 23, with certificates after they completed the ten-session “Keeping it real” program. Const. 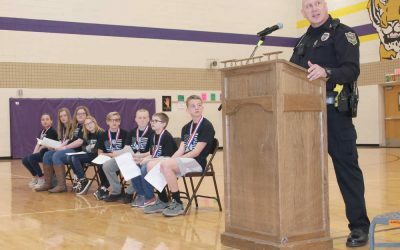 Lewis reminded students during the graduation ceremony that the decisions they make now may impact their future. “One thing I want you to take on from this program when peer pressured — we have provided you with the tools to deal with these situations,” Const. Lewis said. 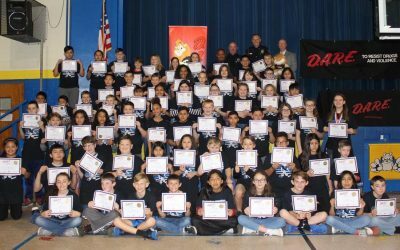 The topics taught included responsibility, peer pressure, cyber bullying, drugs and alcohol. 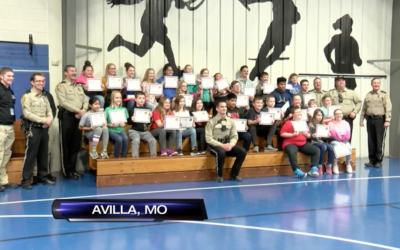 The program also teaches students about risk and consequences. Brianna Green is a Grade 6 student at Whitbourne Elementary who just graduated from the program. 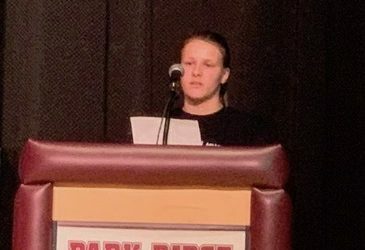 The program encouraged participants to write a daily journal recording their opinions on each lesson, which was a valuable insight for the RCMP on the impact of the program with students. 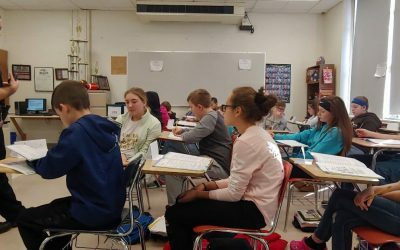 This activity included an open discussion on beneficial issues. 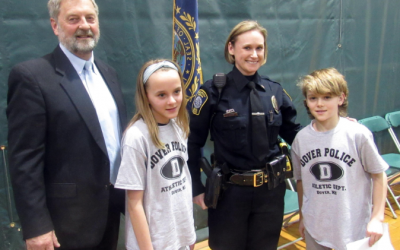 One of the lessons taught students about the risk of internet safety and cyberbullying. Cyberbullying or cyber-harassment is a form of bullying or harassment using electronic means and Const. Lewis taught students to speak up if they experience this. Students were also treated to the inside of a RCMP cruiser in the parking lot following their graduation ceremony. The lights flashed and sirens wailed as students said this would be the only time they would see the inside of a police car.